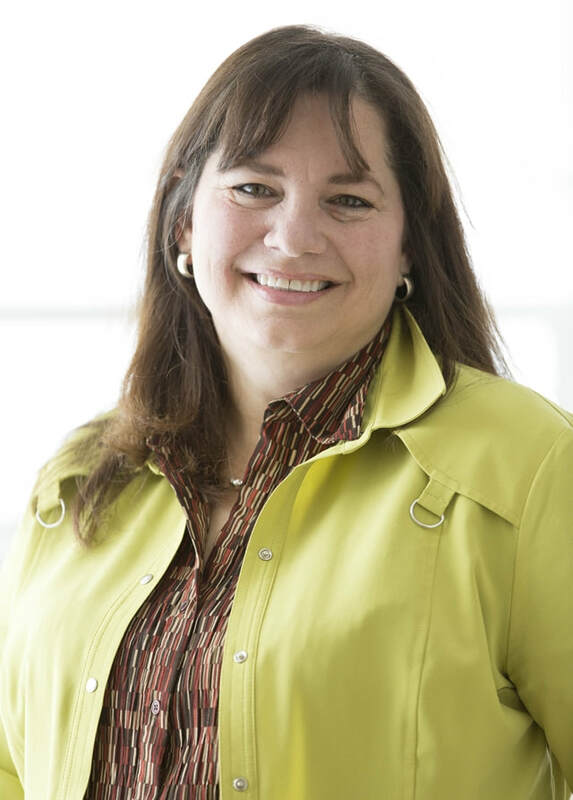 This website brought to you by Denise Martin, Orem's Nicest Realtor, to help you get the most out of visiting or living in Provo UT. 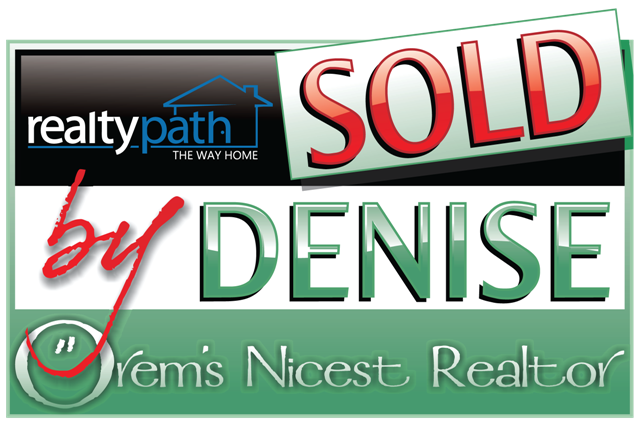 To buy or sell Provo real estate visit www.SoldByDenise.com. Households: . . . . . . . . .
Population % Under 18: . Median Age: . . . . . . . . .
Average Family Size: . . Percent Male: . . . . . . . Percent Female: . . . . . Percent Married: . . . . . Owner Occ Housing: . . Renter Occ Housing: . . The first library in Provo was opened in 1854 and there has been an official U.S. Post Office in the city since at least 1894. Provo General Hospital opened in 1903 and gave way to Utah Valley Hospital in 1939. The Utah State (Mental) Hospital dates back to 1880 but was formerly known by less politically correct names. Electric service first came to the valley in 1890. Brigham Young University traces its roots to Utah's rich pioneer heritage. The original school, Brigham Young Academy, was established Oct. 16, 1875, on a little over one acre of land in what is now downtown Provo. Brigham Young Academy was the predecessor of both the Brigham Young High School and Brigham Young University . The Academy was essentially a high school until 1896 when a College Department was added. In 1903, although the high school students still outnumbered the college level students, the name of the Academy was changed to Brigham Young University. legislative body. The surveyor and recorder are responsible for creating and maintaining boundary and ownership information. 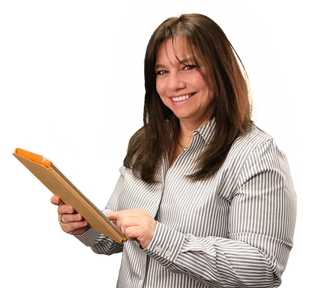 The assessor is responsible for the appraisal and assessment of each property. The auditor applies tax rates and serves as clerk of the Board of Equalization. The Board of Equalization is composed of the county commission or legislative body who hear appeals of the valuations and assessments entered on the tax roll by the assessor. Finally, the treasurer is responsible for collecting the property tax. This is a County Wide levy which funds the general operation of county government. This includes health services, county wide jail services, aging services, prosecution of criminals, jail bonds, regional park and recreation services etc. This optional levy funds the additional costs of assessing and collecting functions, including reappraisal, within Utah County which are not covered by revenue generated from the Multi-County Assessing & Collecting Levy. This uniform, state-wide levy is mandated by the Legislature to promote adequate funding for assessing and collection functions, on an equitable basis, to all counties of the state at a minimally acceptable level. 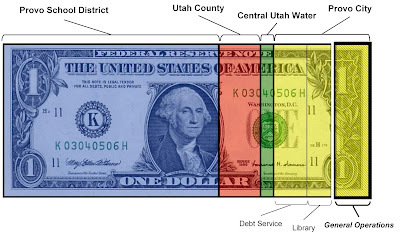 Utah County contributes a portion of this revenue to a multi-county fund for distribution to counties which cannot generate the minimum level of funding. This county wide levy funds Utah County residents' share of the local participation requirement for the federally funded Central Utah Water Project. The District represents the citizens of a 10-county area in administration, sale, and delivery of water for the Central Utah Project (CUP), as well as the operation and maintenance of the CUP facilities. Water developed by the CUP is used for municipal, industrial, irrigation, hydroelectric power, fish, wildlife, conservation and recreation purposes. The Alpine School District receives 27.22% of their revenue from property taxes. The City of Orem depends upon property tax revenues for approximately 25% of their annual budget. Primary residences receive a 45% exemption according to State Statue. The 45% exemption only applies to the first acre of land, any overage is calculated at 100%. 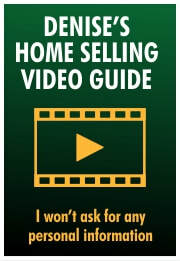 There is no exemption for commercial, vacant land, or second home.